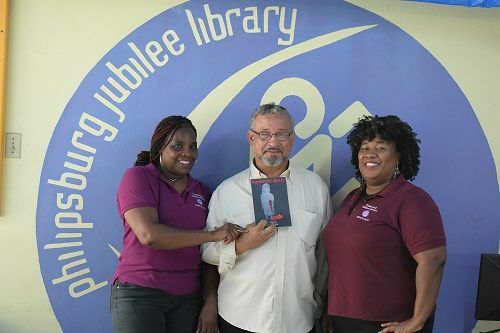 “Book presentation of “Suddenly death” to the Philipsburg Jubilee Library by Roland E. Williams. Mr. Roland E. Williams was born in Aruba, grew up on St. Maarten where he’s currently living and studied in the Netherlands. Mr. Williams has worked in the IT field for over thirty years while he worked on his short stories and poetry. One of his poems was published in May 2016 online at Leave- of- Ink.com titled: “Each Season Given to Us”. 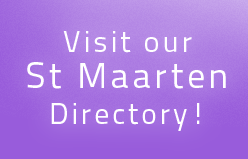 It was Roland E. Williams’ desire to present the library with these two copies because it will give the people of St. Maarten easy access to his work. The book presents rather an adult topic and it’s deemed for adult readers. The short stories (Suddenly death) are meant for a fast read – one can read it in a sitting- although entertaining. Mr. William makes his reader contemplate how quick and unexpected death may happen, whether that’s due to the consequences of anger, suicide, or a turn of fate. At the end of the book it makes one think of how ephemeral life can be and makes us consider our way of life; are we the best version of ourselves? “Suddenly death” was inspired by Mr. Williams’ travel experiences and stories he heard from the locals of those various countries he ’d visited. The author stated he had a need to share these topics that, in his opinion, are still taboo in our culture and that should not be the case anymore. 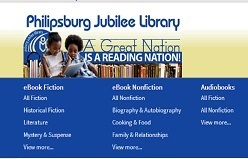 Presenting these books as part of the library’s catalog is in honor as we at the Philipsburg Jubilee Library (PJL) is always supportive of local artist. “Suddenly death” is available at the library in October 2018. 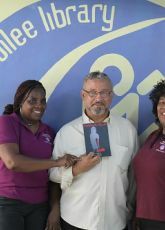 Photo Caption: (L-R): PJL’s Public Relations Officer Mariland Powell, Author Roland E. Williams and PJL’s Head of Circulations Shirley Richardson receiving the copy of “Suddenly death”.